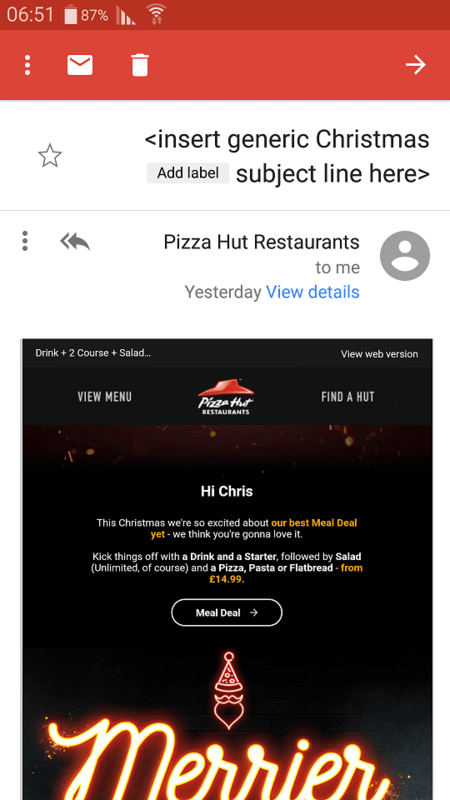 "Sure, there's the obvious 'they didn't put any effort into the email subject,' but the placeholder kind of shows they didn't intend to in the first place," Chris wrote. 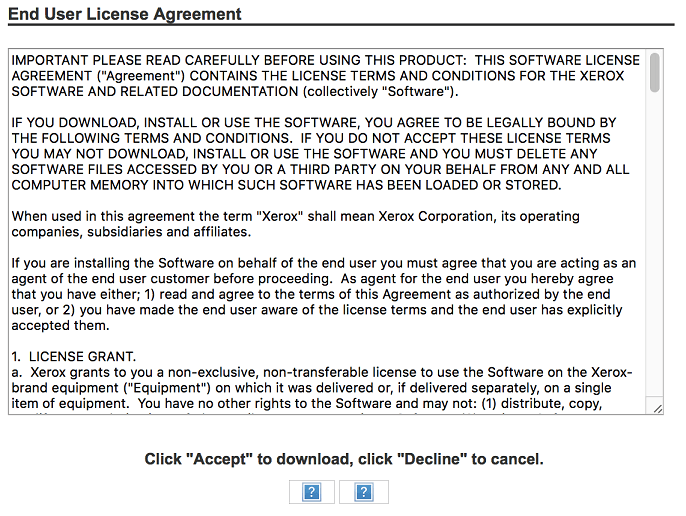 "I figure I had a 50/50 chance of downloading my driver from Xerox's site," writes Greg A., "I just hope they're not randomizing the order of the buttons on every reload." 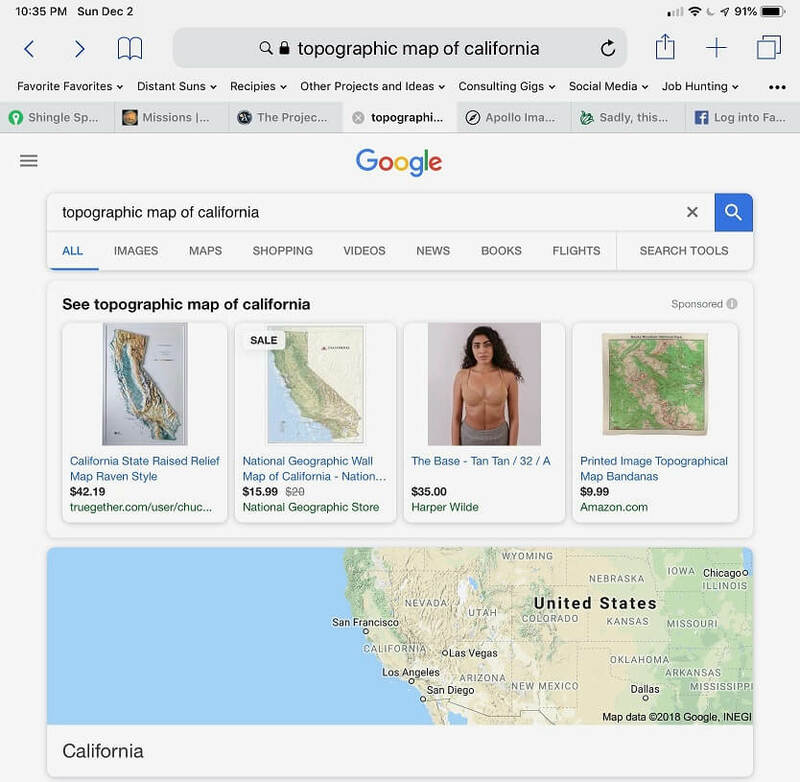 "Obviously, there's a definition of 'California topography' out there that I'm not familiar with," Mike S. wrote. 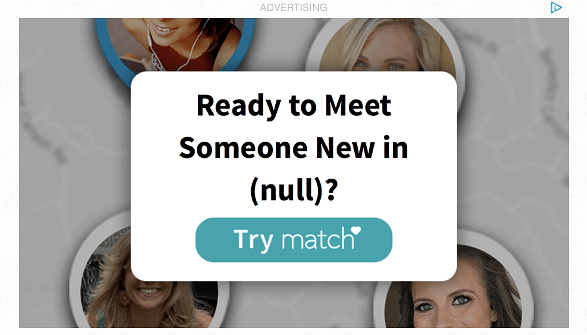 Randal S. writes, "Yes, I would like to meet someone new in (null)! Thank you, match.com!" 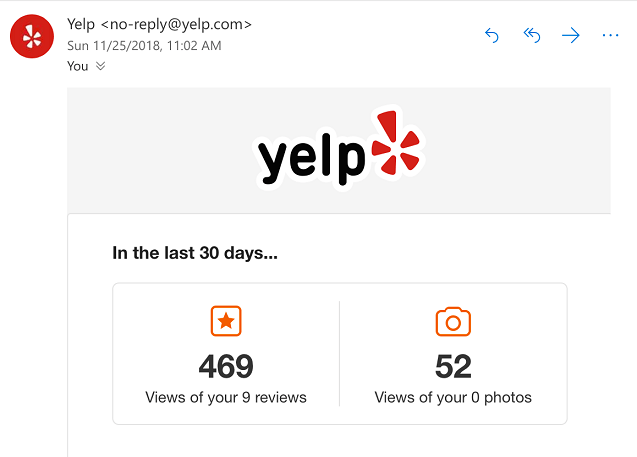 "Ok Yelp - I guess if I knew pictures I didn't take were so popular, I'd not take any pictures more often?" 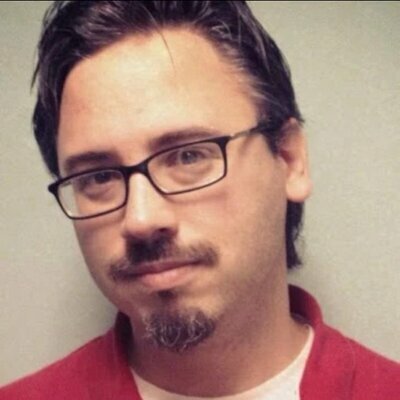 wrote Roger G.
"First, I was having trouble ordering with any of my credit cards, and then I had trouble ordering anything with my timestamp," wrote Cameron H.